I have been on school excursions before. As a student, as a parent, but not as a teacher. Now that I have seen one being organised from behind the scenes I can fully appreciate the amount of work, effort, logistics and reporting that goes into arranging such an outing. I’ll be heading off on this excursion tomorrow, and I am a little bit excited. 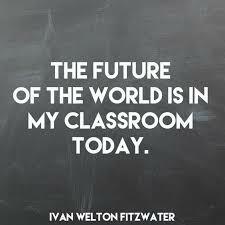 Next week, I will be doing some make up days for my prac, so I will have the opportunity to lead the class through a reflection on tomorrow’s excursion. It is for their History studies, but I will be able to incorporate some language and writing skills as well. I came across another blog (https://multimodalme.wordpress.com/reflective-writing/) that was discussing the benefits of teaching students the art of reflection… “It encourages students to develop a range of skills in identifying features and analysis, plus critical evaluation.” and I wholeheartedly agree. Reflecting on something like an excursion is easier for students than reflecting on last weeks maths lesson, because it was out of the ordinary and a bit of fun that they will remember easier. This kind of reflection calls for remembering, analysing and evaluating which is tricky for 7 year olds, but they need to start somewhere. This blogger used the 3D format for reflective writing that they found in an article in Metaphor, a journal of the English Teachers Association of New South Wales, Australia in 2007. The 3 D’s are Describe, Disclose and Decide, and this format encourages students to to cover the what, how and why of what they are reflecting about as well as evaluating their response. I think that I will give this format a go when I take my students through their reflections. You never know, if it is successful I might even adopt the format myself for my own lesson / teaching reflections. I always forget how much I love prac! I get so nervous and anxious, but once I get to know all the students’ names (usually by the end of day one) I feel so much better and can relax into the classroom. One advantage of being a mature age student and a mum is that I can relate easily to children and teachers, plus I am also quite extroverted so I have no problem introducing myself, getting to know everyone and asking questions. My first lesson today was reading groups – my mentor is being very kind and letting me ease into it all! But I chose the guided reading books for each reading level group, and I made up questions and discussions about the books as we read, trying to encourage the students to be code breakers as well as text analysts (Freebody & Luke, 1990). I really enjoyed it and every single student was engaged. The cohort of students in this class are almost ridiculously well behaved. There is easy 95%+ time on task. I have never seen a chaotic classroom where every student seems to be doing something different, yet where they are all on task. Mind blowing!! So tonight I am planning my first actual teaching lesson. Information reports. I love Year 2, I get to ‘research’ YouTube clips about Minions. My mentor is happy with what I have planned for the lesson as well as the ICTs that I have incorporated. I know it’s only almost the end of the first week, but I am feeling super confident about this prac, and I can’t wait to start teaching more! Freebody, P. & Luke, A. (1990). Literacies programs: Debates and demands in cultural context. Prospect: An Australian Journal of TESOL, 5(3), 7-16. Epiphanies either make you feel really empowered about the amazing realisation you’ve just had, or they make you feel really confounded that it took you so long to work it out. I have been wandering through other blogs looking for inspiration from other educators regarding ways to incorporate ICT into the classroom – hoping to be able to stuff a few tricks up my sleeve for my upcoming prac. I found this blog from 2011 that blew me away. I was mainly amazed by the way the words she wrote are so relevant today, yet this was from 6 years ago! The comment about seeing toddlers in prams playing on iPhones before they can even talk stunned me. Have we been doing this to our kids for that long? That means that those toddlers are now 7 years old – just the right age to be in the Year 2 classroom that I will be doing my prac in. The epiphany hit me…I have to change the way that I think a teacher teaches, to the way that these students want to learn. I can think ‘old school’ is the way to go until I’m blue in the face. That will not change the way these digital natives want their information fast and varied. These students will be be so adept at navigating their way around an iPad, I won’t be able to keep up! But this does beg the question…they understand the what, but do they understand the how? Do they know why the app works when they tap it with their finger? Do they know what makes some apps ‘bigger’ than others and how that affects the storage space? Do they need to know? Do they care? This opens up a can of worms to many aspects of the digital world. Should I use the metalanguage of digital natives differently in the classroom? Words like swipe, tap, open and screen…have these students learned the digital meanings of these words before they learn the traditional meanings? Should I use how to insert a picture into a Word document as the teaching for procedures? Should I use the analogy of computer storage to explain how the brain works and why revision helps you to learn? I guess the answer is yes to all of the above. I have been thinking that incorporating ICTs into the classroom is going to be complicated and depend on resources, however I have literally just realised that it doesn’t have to been like that. I have to stop thinking that the way I teach is the best way for them to learn and start realising that they way they learn is the best way for me to teach.